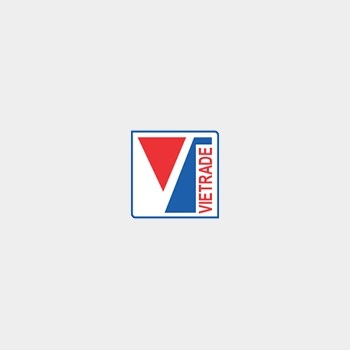 VIETRADE – The 2014 Northern Delta Agricultural Fair was taken place from November 5 to 11 at the 14/10 square in northern Thai Binh City. The event received distinguished guests including Mr. Ta Hoang Linh, Deputy Director General of the Trade Promotion Agency; Mr. Le Thai Hoa, Deputy Director General of the Africa, West Asia and South Asia Markets Department; Mr. Cao Sy Kiem, Chairman of the Association of Small and Medium Enterprises. Leaders of theThaiBinhProvinceincluded Mr. Pham Van Ca, member of the provincial Standing Party Committee, Vice Chairman of the provincial People’s Committee; Mr. Nguyen Hoang Giang, member of the provincial Party Committee, Head of the expo organization committee. The event also had the participation of representatives of departments, agencies, unions, districts and cities, as well as leaders of the provincial people committees and departments of industry and trades of the North Delta provinces. In implementation of the Government’s policy on agriculture and farmers, Parties and People of the Thai Binh and other provinces in the Red River Delta in recent years have strived to expand the new rural construction and promote agricultural development towards modernization and efficiency. As a result, rural economic growth has expanded considerably; economic structure has changed positively; agricultural development is comprehensive in all cultivation, animal husbandry and fishery towards commodity production; development of several models of centralized production, breeding farms, fisheries, industry, handicraft and service is quite strong; creating jobs and raising incomes for tens of thousands of farmers which have contributed to the new rural construction. With the aims of promoting economic development of provinces and cities in the Northern Delta region in general and Thai Binh Province in particular, People’s Committee of Thai Binh Province have organized annual Northern Delta Agricultural Fair in November in the province since 2005. The event has expanded in both size and quality every year with an increase in the number of participating investors, domestic and foreign businesses in the fields of agriculture, industry, trade and services in the Northern Delta region. As an event in the national trade promotion program in 2014, the fair attracted more than 300 local and foreign enterprises displaying goods, many of which have strong brands in agricultural sector. In addition, the fair sets up an area which shows socio-economic and cultural achievements of the city and districts of Thai Binh Province; an exhibition area to illustrate new rural construction in the region; and a biological pavilion. On the sidelines of the fair, a number of trade promotion and agricultural consultation seminars will be held to update visitors on advanced technologies and new products in the agricultural sector, along with many music programs.